This touching movie is about a young girl who is haunted by the death of her mom while she is living with a distant and verbally abusive father. It is set during the civil rights movement in the 60s and beautifully integrates the issues of those times into the story. Lily, the girl nicely played by Dakota Fanning, is taken in by three sisters and begins to find strength and healing as she is loved by these strong African American women. 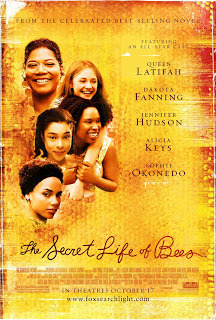 Queen Latifah does a great job playing the eldest sister who teaches Lily about life, courage and bee keeping. The movie brings you back to that turbulent era and really helps you think about what was really going on. The story was great, the acting wonderful and the message inspirational. I highly recommend it and, on a scale of ten, I give it ★★★★★★★★★. I didn't see the movie but read the book and give it a ten as well - it was really good. Sometimes I hesitate to see the movie after I read the book, but I may check this out. 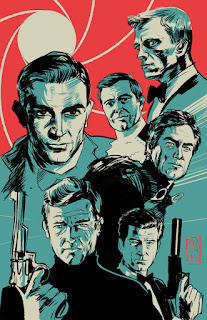 This is one of my favorite movies. I would love to read the book! Do hospitals want us to use their ER as a clinic? What are your favorite Superbowl Munchies?